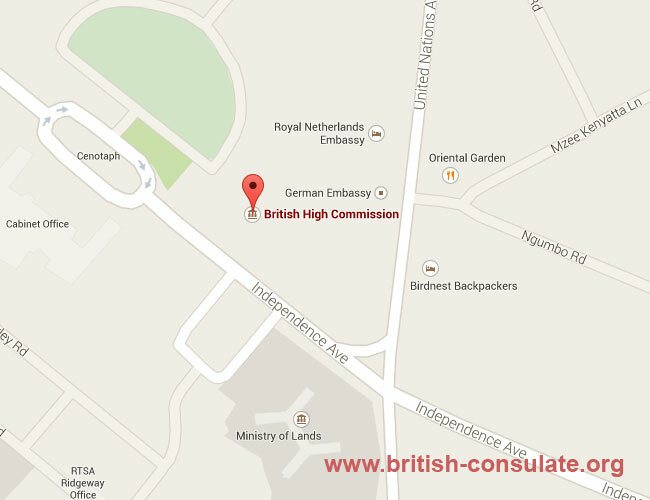 Lusaka is where you will find the British Embassy in Zambia. If you are wanting to tour England then the embassy in Zambia will be able to issue you with a British visa for your visit. If however you have a British husband or wife then you can apply for a spouse visa or marriage visa for the UK. You can also apply for a fiancee visa or a partner visa if you are not married as yet. If you are a British expat in Zambia then you can apply for a new passport at the embassy, obtain assistance if you are in an accident or if you are arrested. You can also register your marriage at the embassy or the birth of your child while in Lusaka. The contact details of the embassy has been listed below.